Heading to Full Frame Documentary Film Festival? We’ve got you covered with a festival picnic lunch 11am-2pm Thursday through Saturday next door to all festival theaters! 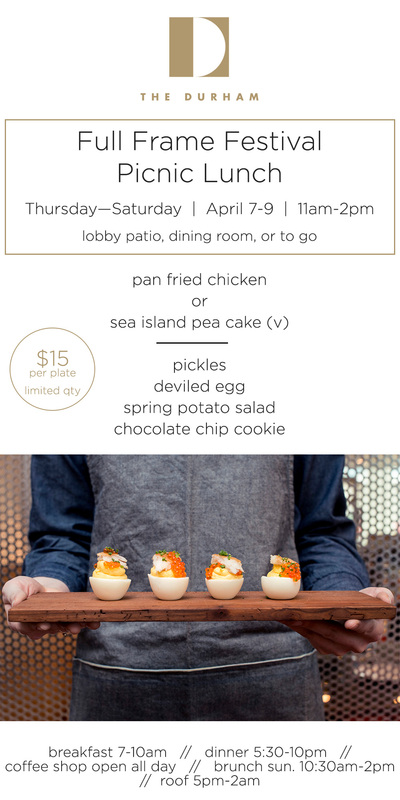 Plates of pan fried chicken or sea island pea cakes will be available while supplies last.